I am sure we, moms feel really proud of our kids when they are recognized and receiving awards. I was raised in Japan and now I am raising my children in US, I often find myself discovering interesting findings and lessons. Mom is ready to capture the proud moment! I have received an email from my daughter’s teacher stating that my daughter will be receiving an award at the morning lineup. It says it is a surprise so do not tell your child. I was super excited! My husband normally does not come to the Friday morning lineup but for this time he made sure to join. He had to be sneak into the school so that my daughter does not see him. Otherwise, it would be kind of obvious..that something would be happening. “For having an awesome attitude…” then my daughter’s name was called. Is being recognized an academic performance better than being recognized an awesome attitude? This brought me back a memory of junior high school student life. This was the time when I completely lost my self-confidence and really confused myself. The Japanese school system and the culture of learning environment is completely different or I should say opposite than US. In Japan, in order for students go to a high school, they have to pass an entrance exam. Each high school is ranked based on the academic level. Smart kids go to “shingaku kou” which means a school their academic standard is high and many of the students prepare to go to a “good university”. I am putting an quote because that is what teachers used to tell us. “You have to study hard and go to a GOOD school”. If you are not smart enough… then you go to medium or lower academic standard school. How would you react if your teacher tells you, you are not smart enough? When it was time for me to think about choosing high school, I started to think about which school I “should” go to based on the expectation or the pressure that I had from the society. I was right at the border of possibly making it to the 3rd top high school within my district. My teacher said, well, you are right at the border. Your academic level may not going to let you get the score that you need on your entrance exam. You may not perform well on the exam, but your “naishin-ten” (GPA plus the overall school performance; attendance, attitude, club activity, how engaged you are at school etc), is good so the high school you want to apply would want to catch you. This conversation made me confused. 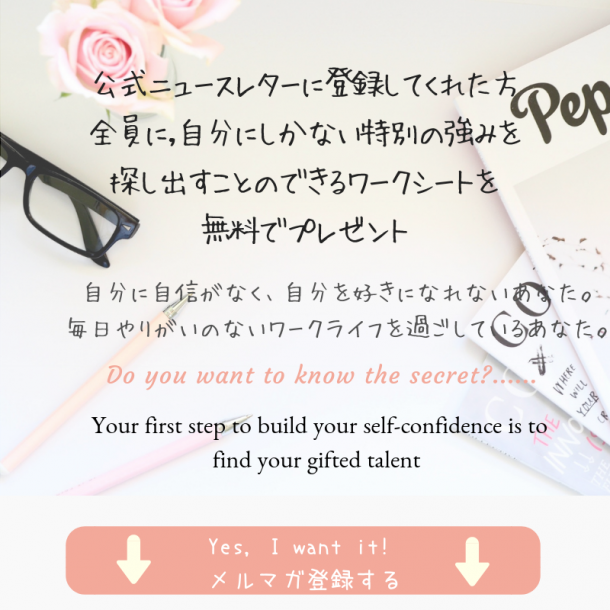 I felt like I was told that I am not smart enough based on my academic level, but because my naishin-ten is good, they will give me a grace and let me enroll the high school…. I am not a smart kid. I ended up getting accepted by the 3rd top high school that I wanted to go to. I still believe that I was accepted only because of my naishin-ten, not because of my entrance exam score. Now, I am big on personal development and I love reading about self-confidence, female leadership, mindset, positive attitude. I completely understand the power of positive attitude and how attitude can shape our work life, relationship with friends and everything in our life. I believe that our mindset have a strong relation with our attitude which can lead to our habit. If we have a poor attitude, we can start complaining things or we start comparison games. This can also affect our self-esteem. At the morning lineup, my daughter’s teacher congratulated my daughter and she told me that my daughter’s attitude is great. Even though there were times that she had faced some challenging situations, she kept going and kept the positive attitude with her smile. I wish someone told me, a 15 year old girl, that having a high score of naishin ten is a good thing. If, someone can recognize how important it is to have a positive attitude, I would never told myself that I was not smart enough and I was able to go to the high school because I just had a good attitude. 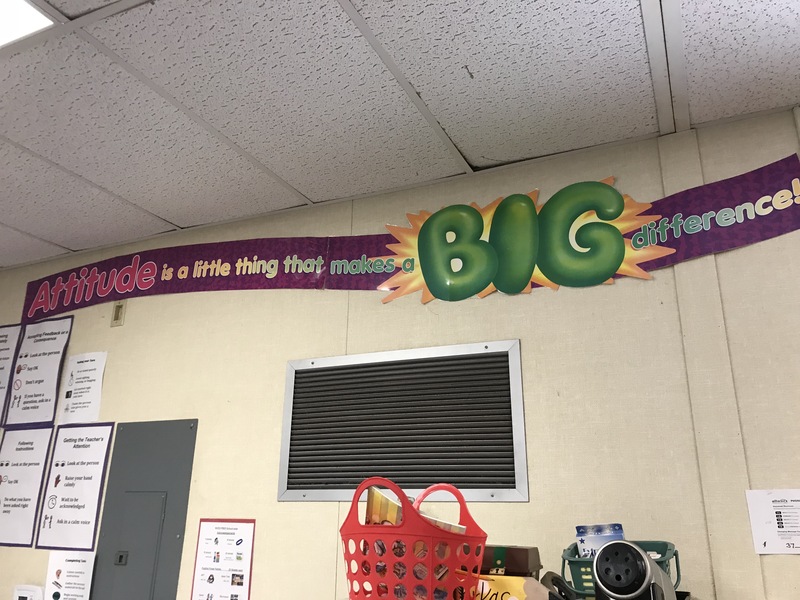 In my daughter’s classroom, I found the sign said “Attitude is a little thing that makes a BIG difference!”. YES!! 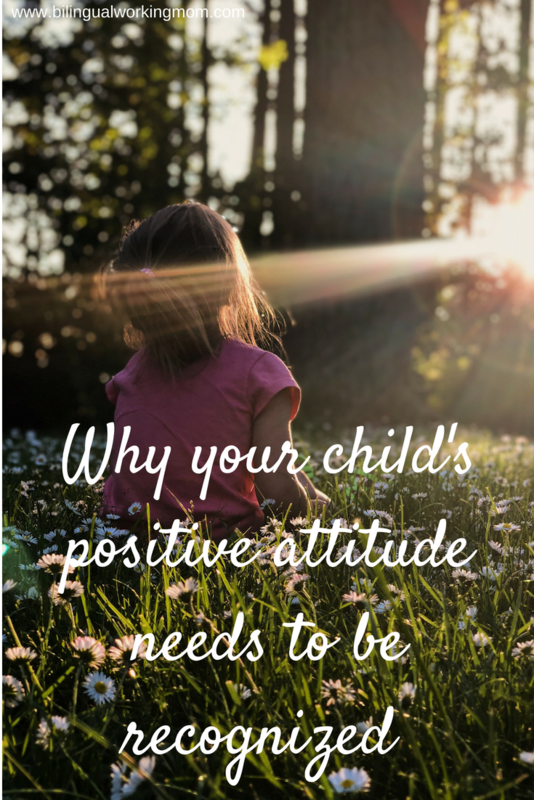 I will make sure to teach my children a lesson that their attitude counts and even if they face some challenges, keep their positive attitude, practice more if they need to, fail and learn from the lesson to be a better version of themselves.